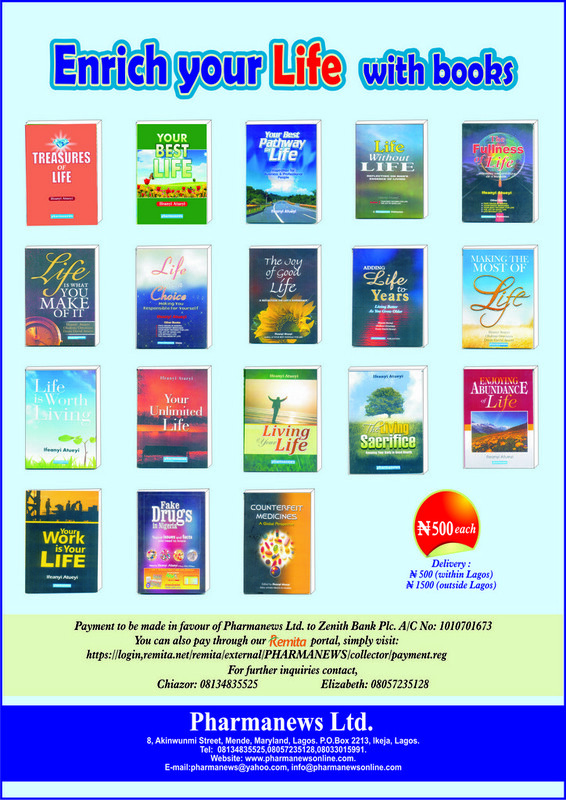 Editor’s note: The next few editions of the Pharmanews Health Care Leadership Series will focus on selected presentations made at the just concluded Pharmanews -Aster DM Healthcare workshop on Health Care Innovation and Financing. The workshop held from 19 to 23 July, 2014 in Dubai, United Arab Emirates. 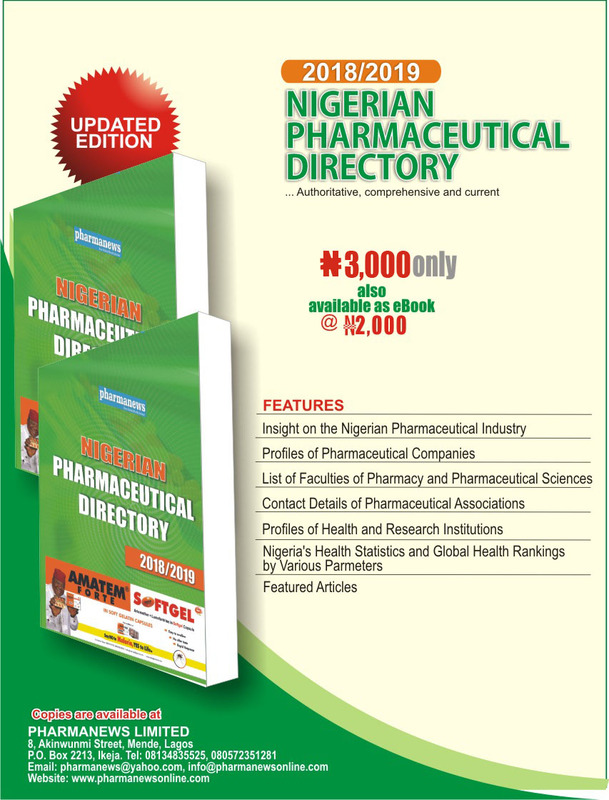 Below is the introductory material prepared by the lead discussant, Dr Femi Olaleye. Across the nation, doctors and all cadres of healthcare workers are asking for better conditions of service, including more money for themselves and for improved service delivery. With these demands come counter-claims by the government, coupled with aggressive and intimidating attacks on the leadership of the medical professional bodies and associations, all with the aim to maintain the status quo. In fact, the Lagos State Government, in a vain attempt to win public sympathy during the last doctor’s strike in Lagos State after negotiations broke down with the striking doctors, claimed the “unreasonable demands” of the doctors would bankrupt government if their demands were to be granted. Meanwhile, while the squabbles continue, the sick continue to die due to lack of decent and affordable health care. From the primary health centres (PHCs) controlled by the local governments to the general, state, specialist, and state university teaching hospitals owned and operated by state governments, to the federal medical centres, national hospitals, and federal university teaching hospitals that are heavily subsidised by the federal government, the story is the same – corruption and negligence leading to low quality of care and outcomes, and crumbling infrastructure. Indeed, the Nigerian public healthcare system is gravely ill, just like the patients it is meant to take care of. However, the cure for this malaise will not come from some miracle antidote, or some ‘imported’ idea from the Western or more industrialised economies. The cure must and will come from new ideas, and pragmatic, home-grown, realistic and sustained approach to finding long-term solutions to the issues affecting healthcare delivery in Africa’s most populous nation. I make bold to say he may just be right. There needs to be a major paradigm shift in how healthcare financing is done in Nigeria if we are to stop the rot in the system. Really, the firmly-held belief in most quarters is that government brought all these troubles onto itself. It is hard for anyone to be surprised at the level of rot in the public healthcare system, especially when one has had the opportunity to take a look at the administration and operation of public healthcare facilities in Nigeria. One thing all public health care facilities in Nigeria have in common is that they are all heavily-subsidised by all tiers of government – year in, year out – without any discernible(not even commensurate) improvement in the quality and range of care. Another thing they have in common is that the subsidy they all enjoy is currently misapplied on the supply side, thereby continuing to feed the culture of corruption, which has been institutionalised in the civil service; and while several administrations over the years have taken steps to correct the same anomaly in other sectors such as telecoms, oil and gas, and even banking, nothing has been done to date to correct this gross misapplication of healthcare funds. This misapplication of resources has also had the consequence of saddling government with the responsibility of paying the salaries of the army of doctors, nurses, and other healthcare workers employed directly by local, state and federal government. And so, the vicious cycle continues with each succeeding administration! Developing mechanisms for creating and enforcing quality standards for health services and medical product manufacturing and distribution. Including as many of the population as possible in risk pooling programmes. Channelling a portion of public and donor funds through the private health sector. Enacting local regulations that are more encouraging of a private health care sector. Improving access to capital, including by increasing the ability of local financial institutions to support private health care enterprises. The big question is, can any government hospital in Nigeria, as currently constituted, achieve any of these milestones? Are they ready to shift from tradition and embrace innovative reforms? All over the world, it is no longer feasible for any country, rich or poor, to provide all needed health services to its entire population. The reason for this is the extraordinary increases in health care costs throughout the world, and the very real budgetary limitations that all countries face. Changes in the population – in almost every country, the population has become older and more urban, leading to an increased demand for high cost tertiary care health services. As the population ages, their health care needs and costs increase. Changes in disease patterns – Twenty five years ago, most diseases were acute, often infectious, and people suffering from these diseases were either cured or died. Today, most diseases are chronic, and patients with chronic diseases, such as diabetes, asthma and heart failure, are on expensive medicines for all their lives. Even diseases such as cancer which were once acute are now chronic, and patients can live with cancers in remission for five, ten, 20 years, or longer. The cost of treating chronic diseases is much greater than treating acute disease. Improvements in treatments – In the last decade, new treatments and new diagnostic techniques have made very real and very expensive contributions to health. Treatments for cancer, burns, and neurological disease have saved lives and improved the quality of life for millions of people, but they have also dramatically increased the costs of health care. As Nigeria is not exempted from this reality, it is therefore time to reform the way healthcare is financed in the country. We cannot continue planning and delivering healthcare the same way we have been doing for the past five decades. For example, between 2009 and 2010, it is on record that the Lagos State Government spent over N38 billion on healthcare. Over 40 per cent or about N15.4b went to salaries, over 51 per cent or over N20b went to capital expenditure and over 8 per cent or about N3.2b on overhead. The next obvious question is, where are the deliverables from the over N20b healthcare CAPEX between 2009 and 2010? The remaining 35 states of the federation also have similar planning and spending pattern. When the health reform agenda of the administration of former president,OlusegunObasanjo,commenced, the FG decided to adopt an employer-based private insurance model to pool healthcare risks. Almost 10 years after the programme started, the NHIS only covers less than 7 per cent of Nigerians. This is not surprising, because when you look back at the histories of countries that have attempted to reform healthcare, it has never been an easy task. However, it is also surprising when one considers the capabilities that have been unleashed by information technology, and with these, the ability to leap frog into the new healthcare economy. While the wisdom of implementing an employer-based health insurance scheme in a country with unofficial unemployment rate of over 50 per cent can forever be questioned, our objective is truly to find and offer a way forward by seeking to understand global healthcare financing models, challenges and opportunities for innovative ideas. An alternative health care financing option – one of the ways that government can achieve leverage – is to enter into joint venture agreements with private investors or NGOs with social investment funds. The joint venture company will then own and operate the government hospitals. The private sector/NGO brings in equipment, capital and expertise and also provides funding and expertise towards creating a State Community Health Insurance Program, which will essentially be the anchor revenue source for the hospital(s) being managed by the joint venture. The government, on its part, provides the facility and commits to appropriating a certain percentage of the state budget into a State Health Insurance Trust Fund, which will fund the Community Health Insurance Scheme (CHIS). CHIS makes it possible for subscribers to access healthcare at a government hospital, without the need to pay out of pocket. CHIS, apart from providing services to the elderly and indigent, can also be heavily marketed to the almost 93 per cent of Nigerians currently not covered under NHIS. People will be encouraged to subscribe through their various groups – Community Development Association, Okada Riders Association, Union of Road Transport Workers, and other self-employed groups. Because the groups guarantee a larger risk pool, the premiums could actually be as low as N6, 000 per annum for basic coverage. An additional advantage is that because the group bears responsibility for premium collection, subscribers can even pay month to month, with less likelihood for defaults and a guaranteed platform for conflict resolution if/when they arise. This model does not privatise government hospitals, as they will remain public. The model may actually lower costs for the hospitals, some of which they can pass to their consumers through lower prices. Some of the advantages for government are that responsibility for staff salary will be transferred to the joint venture owners. Thus, government is relieved of this burden. It also relieves government of the burden of capital expenditure, because all CAPEX will be planned for and borne by the joint venture. When the healthcare market in Nigeria is organised thus, its potential to generate millions of jobs directly and indirectly will also be enormous. It is to be expected that relief from increasing costs will come from efficient improvements occasioned by partnerships. Unfortunately, although some efficiency and improvements can be expected, the experience of most developed countries is that the increasing costs associated with technology improvements and shifts in the population are of a much greater order of magnitude than any savings that can be achieved. Additionally, there are other troubling lessons to be learnt from the experience of the richer countries in cost control and partnerships. One of these is that, as medical costs continue to increase, no one, not even the wealthy, will be able to afford the full costs of care; thus, better mechanisms for risk-sharing are needed and, inevitably, the government will become a major player and often a major funder of health care for the wealthy as well as the poor. For this reason, governments have a very strong motivation to become more active players in defining the structure of the overall health system, public and private, and how the entire sector will allocate resources and manage costs. For this approach to be successful, partnerships will therefore become even more important, not only as a source of efficiency, but also in terms of strategic planning so that both the private and public sector can benefit from the advances in health technology without becoming victims of the financial chaos that has tarnished the health care system in most western countries. There is also a critical need for capacity building in human resource management in the health sector. HR challenges – understaffing, lack of trained staff, lack of staff satisfaction, poor working conditions, and staff grievances – are severely limiting the capacity of health care organisations and professionals to meet the needs of their populations. These are complex issues that, if neglected, contribute directly to lower standards of performance, increased turnover, higher levels of staff vacancies, constraints on health service delivery and thus poor health outcomes. In summary, governments at all levels in Nigeria need to learn how to effectively leverage their limited resources to achieve acceptable outcomes, especially in healthcare, and the time-tested way of achieving this is to move healthcare spending away from the supply side to the demand side. This will allow government to begin gradual withdrawal from the business of providing healthcare, making room for professionals in the field to come in and act as service providers. Non-governmental organisations, too, have a role to play in this inevitable transition. A wonderful article. The idea of CHIS is fantastic. But the troubling aspect of this article is to enter into Joint Venture agreements with private investors or NGOs who will then own and operate the government hospitals. You have clearly reassured that this model will not privatize government hospitals. But at what expense really?